3Gstore.com Blog: Fastest vs. Most Reliable Network? According to a new study from PC Magazine, AT&T has the fastest LTE service and Verizon is the most reliable. 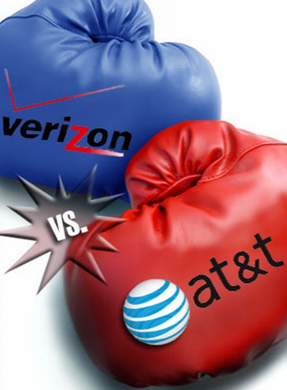 The test was done between the following carriers, AT&T, Sprint, T-Mobile and Verizon. They traveled across 30 cities, finding that AT&T had the top 4G LTE network with average download speeds of 16.7 megabits per second and average upload speeds exceeding 7.4 megabits per second. T-Mobile's LTE network came in second place, 12Mbps download speeds and 7Mbps upload speeds. Verizon was right behind with 11.9Mbps download speeds and 6.3Mbps upload speeds. Sprint's LTE network was the slowest with 5.6Mbps download speeds and 2.4Mbps upload speeds. PC Magazine also noticed that Verizon was the best in rural and suburban areas. Which is something I hear very often. Many of 3gstore customers travel in there RV's full time and are very happy with Verizon coverage and reliability. AT&T was best in major cities across the country. "If you're looking for a fast mobile broadband experience in major and medium-sized cities, AT&T is the best nationwide 4G choice," PC Magazine concluded, adding that Verizon was able to win out when it comes to "reliability and greater rural coverage." Do you want the fastest service or the most reliable service?